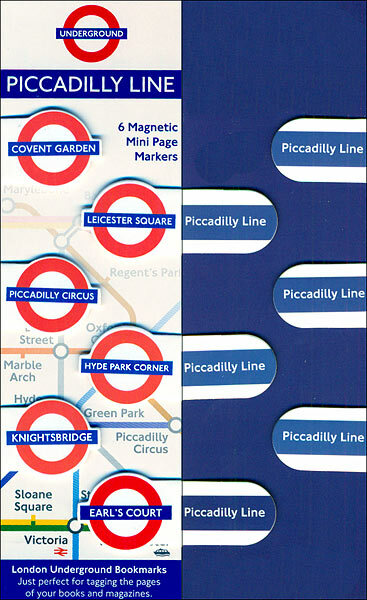 The London Underground Mini Magnetic Bookmarks by That Company Called If features six of the most popular stops on the Piccadilly Line. Printed onto thick glossy card, each little mini marker has two magnets to hold it in place on the page. The pack contains six markers, each featuring a different tube stop on one side, and the colour and name of the line on the other. Each bookmark measures approximately 3.5x2.5cm. Highlight those important words or mark where you left off with a tube stop of your favourite line. Ideal as a souvenir of London or gift idea for book lovers!